When I first wrote words in this spot in 2003 I jested that I loved One Piece so much that I'd be willing to join it in marriage should the opportunity ever present itself. Well a number of things have changed since then, I got engaged for one so sorry One Piece, but in five year's time One Piece hasn't stopped amazing me almost each and every week. If you're a new fan to the series, welcome to what I hope will be a useful starting point for your fandom. I recommend scrolling down to the bottom of this page right now to read through a number of important notes regarding the origanization of the site as well as important information on spoilers. This profile is essentially a starter's guide to the series as an overview of the main characters whom fans have come to know, love, laugh at, cry for, cheer for, jeer at and grow up with. A story like One Piece is only as strong as the characters who support it and author Eiichiro Oda seems to have a mystifying grip on what basic emotions unite humans, infusing his creations with so much life that they bring us right into his world. It's not a perfect story by any means, it has its faults, its plot holes and every once in a while it doesn't make any sense but it doesn't matter because we're just happy being along for the ride seeing those familiar smiling faces. People often say of heroes, "There's a part of us that wants to be like them." 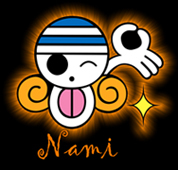 True or not I do not believe that's why One Piece's main characters are so endearing, it's the opposite in fact. When we read their heart-breaking origins, each one of us has had small moments like that in our lives. When we see their humorous expressions upon succeeding we know exactly how they feel. There's something very real about how Oda depicts their lives and it seems that he isn't trying to create a set of characters that he wishes he was or that he thinks his readers wish to be, instead he has made each a facet of his own life and those around him. 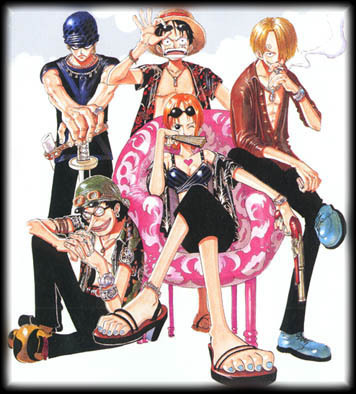 So I welcome you to the wonderful world of One Piece. Empty any prejudices or heresay from your head as well as everything you think you know about the series and immerse yourself in it. The kanji for this attack, kuugun, literally mean air-force; as does the French spoken name of the attack. However, the kanji may also be read as "empty vehicle". Use your imagination a bit and you will see that Sanji is an empty vehicle, waiting for Luffy. 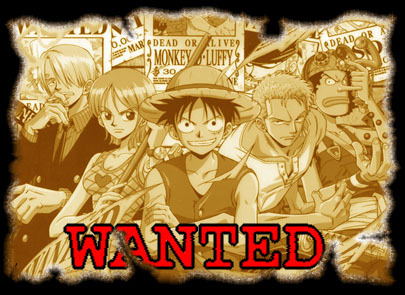 Luffy, Sanji and Zoro unleash their attacks: Gomu Gomu Whip, Epaule Shoot and Tatsu Maki respectively. Usopp attaches a rubber sling to Chopper's antlers when he is in his Horn Point form and creates a giant slingshot. 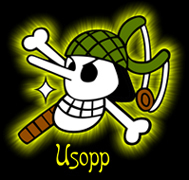 Usopp loads his hammer in the sling and fires it at their enemy. 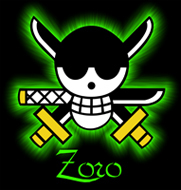 The second in the series of Sanji's Armee De L'Air Series, Zoro jumps onto Sanji's leg and is flung at a target too far away for Zoro to reach on his own. The kanji for this attack, kuugun, literally mean air-force; as does the French spoken name of the attack. However, the kanji may also be read as "empty vehicle". Use your imagination a bit and you will see that Sanji is an empty vehicle, waiting for Zoro. Five of the crew's most powerful members perform their signature moves all at once on a large group resulting in massive enemy casualties. 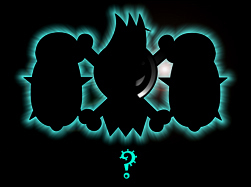 Best used in close quarters against weaker villains as a single simultaneous attack for maximum effect. 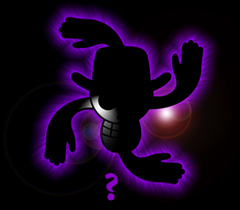 The name of the attack refers to the bounties of the attackers which at the time totalled over 600-Million Belly. The name of the attack is problematic in both translation and for comic fans. The written attack name's B is read as 'beru' and while it most likely indicates a unit of money, Belly, the uppercase 'B' is not the standard symbol for Belly and further complicating the issue is the uncharacteristic use of, 'beru' as opposed to the commonly used 'beri-'. When printed in JUMP it seemed that this was a spelling error but the attack name did not receive any changes when the chapter appeared in volume 46. When/if this receives an explanation I will adjust the naming. Also note the original incorrectly split the English word 'jackpot' into two words which I took the liberty of correcting in the translated name. 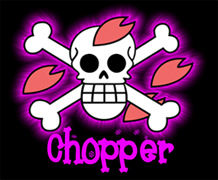 In Man Beast form, Chopper grabs his opponent from behind and locks them in a hold. Meanwhile Robin sprouts a strand of legs from the sole of Chopper's feet, Pieruna Fleur, raising him several yards high. The goal of the attack is to bring down his opponent on their back in a devastating supplex. As of volume 48 the attack has not been successfully performed. I originally created this profile over summer vacation in 2003 and left it largely untouched for 5 years. What you are about to read is mostly unchanged in execution. If you're an old fan, everything you remember is here (except for the mistakes) albeit being updated and refurbished. I changed the format here and there but it should feel very familiar. To those of you who have never read this before welcome! Even though it may not look it, the entire project took almost exactly one year from start to finish. Before writing this introduction I sat down, made some estimates and crunched some numbers and it turns out I spent over 75 hours working on this update. I'm not going to start patting my back and it's certainly nothing to brag about but if by chance you happen to like what you find here, that means it was worth it. Admittedly, I didn't write this for fans, even though I'm certainly happy if it helps to serve as a point of reference, but as I always say, I just enjoy creating these compilations of data. To see the various bit and pieces of raw data from here and there come together forming one large picture is almost like a kind of art. I'm not going to say this profile is better than any of the many other sources available but I'm happy with it and I hope you enjoy reading it. If there's something missing that you think should be there, try looking. I enjoy hiding little bonuses here and there just as much as Oda which is something I frequently do in other sections of my site. By all means, explore! Speaking of exploring, let's talk about spoilers before you go reading something that you'd wish you hadn't. I created a catch-all explanation of how I deal with spoilers as well as suggestions for how to best navigate this profile and since it's long and boring I stuck it here but I suggest you read it unless you're caught up to the most recent volume of the comic. There are a number of individuals who made this update possible and I'd like to give them their due credit for working with me or providing work (willingly or unwillingly) that contributed to this project. Sorry stephen, first dibbs go elsewhere this time. The love of my life Haruka made much of this possible by fielding questions sure to drive any sane person off the edge. She's just as much a One Piece fan as me but when a dead serious question from a significant other runs to the tune of, "So what does a Triangle Jacker really mean? How would you feel if someone said Triangle Jacker to you? ", it's a miracle she didn't walk straight out the door. Next up is a regular in this space, stephen. However many hours I've devoted to One Piece on this site, double, triple or quadruple that figure to see how much time stephen has dedicated to this series in order to make an accurate and organized reference in the form of his volume translations. Even if you own the entire series and it happens to be sitting right in front of you, to find out which page who did what, it's still faster to click through stephen's site. It's an invaluable tool and cross-reference that shows a level of dedication I can't even approach. A number of posters from the Arlong Park Forums were also on the ball with some requests I made for images. I used to do all scanning work myself but I don't even have a scanner here in Japan so that's out of the question. 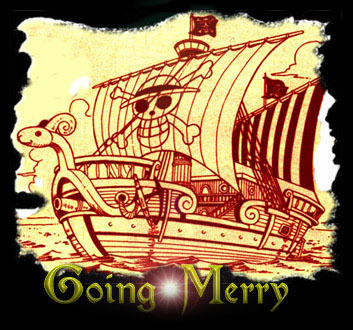 Mog was able to provide the scans of a certain ship. Dark_Kaomi pointed me in the right direction when I was loooking for some images as well as chpollastrini who also provided some excellent raw images. Poster ultimateclima helped find an error I should have fixed ages ago. 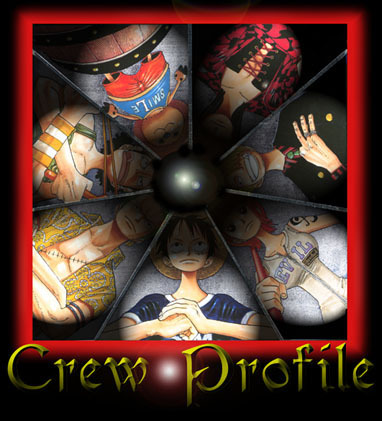 And last but not least, zerocustom1989 put together the awesome skull and crossbones you see below for each crew member. It's very difficult to find high quality versions that close to the originals so his creations were a blessing. Friends EGX and Kenny Wong also served (whether they knew it or not) as bug testers for the final build. They're the experimental sacrifices that never get to enjoy the site for the first time like everyone else, all nice and organized. So a big thanks to them as well. Please don't steal my data. I think that should be self-explanatory. I don't mind if my work inspires your own but for goodness sakes just don't copy and paste. It's immature and unprofessional. While we're on that topic, I always find it funny just how fast Wikipedia seems to change whenever I update my site. Coincidence? Might be nice to list a source or reference. I see stuff popping up there that I know came straight from my mouth and it's a little bit sad that there isn't even a single reference or link to the original source. And for the know-it-alls that like to think, "Oh that tiny bit of insignificant information is wrong, this site is useless. ", just calm down and try contacting me. Maybe I made a mistake, or maybe there's a reason for phrasing things how I did. All you have to do is ask. Also please note, I left Lufy's "Gomu Gomu" in translations as Gomu Gomu, not "Rubber Rubber". Why? Because I like how it sounds. Another thing, I have rearranged the names so that they appear as they would in America. 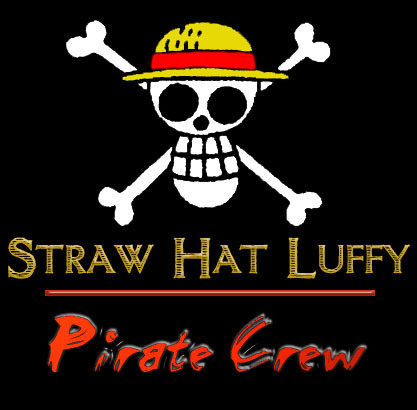 I wouldn't have done so if Oda did not specifically say in an SBS that, "Luffy" is his first name. 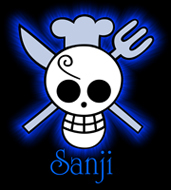 So for purists out there, yes, we both know that in Japan it would be Monkey D. Luffy, but the server this site is located on is in the USA, and so long as it stays that way, I will officially list their full names that way. And finally, speaking of names, I have used the English spellings provided in the manga and data books for characters. 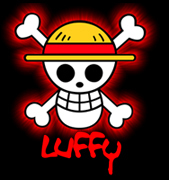 Therefore, "Luffy" is Luffy not "Rufi" or Usopp "Usoppu". There are only a FEW names I changed from what was written in the data book because they were obviously misspelled words. However, I will not alter the spelling of a name that appears within the manga itself.